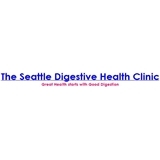 The Seattle Digestive Health Clinic (Seattle) - Book Appointment Online! The Seattle Digestive Health Clinic specializes in treating Chronic Illness. Our unique evaluation focuses initially on diet and digestion, the root cause of many chronic diseases. The restoration of digestive health is then integrated into an individualized and illness specific treatment.